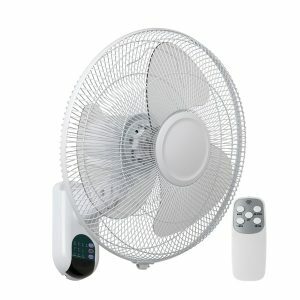 The Premium Plastic Wall Fan is a high quality domestic wall fan. 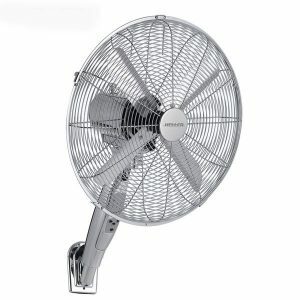 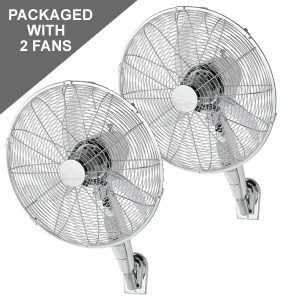 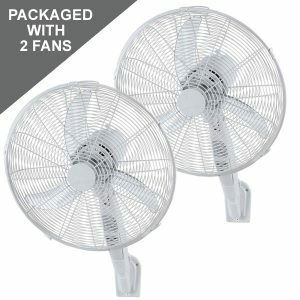 The fan is an effective air mover and is a great DIY fan for this season’s cooling. 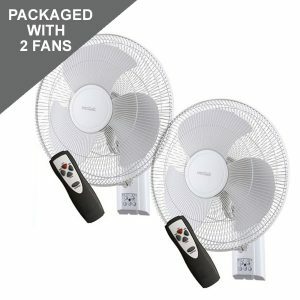 The remote control features a wind, breeze and sleep mode as well as a 0.5 to 7.5 hour timer. 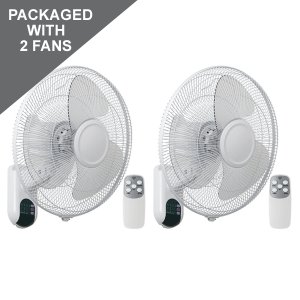 This 16″ wall fan with remote control has a chrome finish making it a stylish choice of fan. 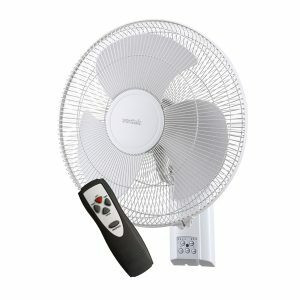 Its remote is integrated to its stem for easy operation and storing.